We have had a very busy spring in the University Libraries. Boatwright Library played host to our first Richmond College Student Government presidential debate. A standing room only crowd of students participated in the selection of their next set of leaders. While the traditional view of libraries is one of a place of silence and reflection, we have created a forum on Boatwright Library’s first floor for debate, noise and constructive interaction between students and faculty. This space has played host to our Visible Scholar program, In Common discussions, a pop up maker space and the popular Modlin@Boatwright series. We capped off the spring by honoring scholars at the university’s Faculty Accomplishments Reception. This annual event brings together researchers and artists to celebrate the scholarly output of the faculty. The library has had the honor of hosting this event, in its various forms, for a number of years. As the weather warms and finals and graduation nears, please take a moment to thank the library staff for the incredible work they do. They are the lifeblood of the libraries on this campus and make Boatwright Memorial Library, Parsons Music Library, and the Curriculum Materials Center the special places they are. Working with archival material allows the researcher opportunities to learn about different places and other times. Photographs of long-vanished buildings or reports of events long over are reminders of things no longer present. But perhaps the most immediate, and occasionally the most poignant, way to immerse yourself into a different world is through reading other people’s mail. Archival collections often contain a variety of correspondence, including business communications, official statements, organizational announcements, and academic inquiries. For many researchers, however, it is personal correspondence that best brings the past to life. When reading mail sent years or even centuries ago, one can’t help but try to fill in the gaps, to hunt for clues in deciphering the stories behind the penned or penciled words, seeking the individuals who wrote or received the letters. Recently, the Rare Books & Special Collections division of Boatwright Memorial Library purchased a collection of more than 700 letters, the majority of them written during World War II. The collection is a compilation of several different sets of correspondence. Although connected by the time period, these different sets offer a view into the lives of many individuals, each with their own story to tell. For example, one set of about 100 letters written on U.S. Navy letterhead share the story of a young couple named Paul and Charlotte. Paul wrote almost daily between March and July 1944, and through his letters, readers come to know a bit about life in the Navy, the challenges of planning a wedding via correspondence, and enough of a hint about Charlotte’s world to spark curiosity. A bit of research uncovered that Charlotte and her family were Jewish immigrants to the United States, having left Germany in 1934. 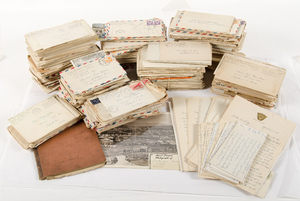 The largest set of correspondence in the collection are the approximately 250 letters written by George Orlikowski to his girlfriend, and later his wife, Mary Zyla Orlikowski, which cover the time between July 1942 and March 1945. In addition to learning much about both of their lives, many of the envelopes and stationary are humorous by themselves. In one letter written in December 1944, George offers a secret code to Mary so that she can know where he is at in the Pacific after he sails without the censor catching on to them; he indicated he would change which salutation he uses in his letters to her to identify his location. Even after more than 70 years, the letters still carry the scent of his cigarette smoke. Perhaps the most intriguing series of correspondence in this collection are the variety of letters sent to Dorothy “Dot” Raynham, a female college student, by a variety of soldiers between 1942 and 1944. With at least fourteen different men writing her from nearly all branches of the military, these letters offer glimpses of military life as well as life on the home front for at least one college student and her family. Whether it is a bomber pilot wistfully recalling their dance to a Glenn Miller tune or a sailor encouraging her in her schoolwork, the range of correspondents suggests there may be an interesting story about this particular moment in her life. Reading other people’s mail in the archives offers a glimpse into the past, one way to bring history alive, for researchers of all types, including University of Richmond students. This collection has already been utilized in several classes, including a Weekend College session doing hands-on history and a first-year seminar exploring a life in letters. Materials from this collection as well as correspondence from other collections is currently on exhibit on the first floor of Boatwright Library through the end of April. Over the past decade, there has been a staggering increase in the digitization of print materials traditionally housed in special collections of libraries across the country and around the world. In addition to our own special collections in the Galvin Rare Book Room, the libraries’ collection of primary source material has been greatly expanded with the purchase of several new databases in the past year. 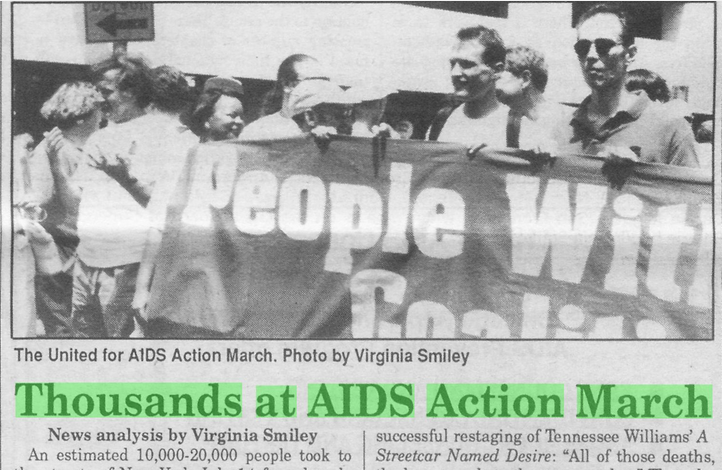 One example is the Archives of Sexuality & Gender: LGBTQ History and Culture since 1940. This database consists of 20 individual collections with a total page count of nearly 1.5 million pages. The archive is valuable to students and faculty in the Women, Gender and Sexuality Studies Program as well as those working in the areas of American Studies, civil and human rights, journalism and the history of social movements. Other new collections can be found in Archives Unbound, covering a broad range of topics from the Middle Ages to twentieth-century political history and AM Explorer: Americana, offering a wide array of materials focusing on American history, literature and culture. Having increased our investment in digitized resources with these purchases, the University Libraries now offers a broader gateway to primary sources for both students and faculty involved in original research. Connect to the Primary Sources Resarch guide for more details on these collections.